A Cheektowaga town prosecutor who characterized Erie County District Attorney Frank A. Sedita III as “overzealous” in his prosecution of a former councilman has been stripped of her authority. Sedita revoked the authority of Kathleen M. McDonald to serve as a public prosecutor, effective immediately. In a letter to the editor published in Monday’s Buffalo News, McDonald wrote of her support for former Cheektowaga Council Member Charles Markel, who lost his seat on the Town Board when he pleaded guilty to a misdemeanor charge related to unemployment insurance fraud. Sedita said that what McDonald wrote put her at odds with her role as a prosecutor. “You can’t have one standard for your friends or your colleagues ... and one standard for everybody else. 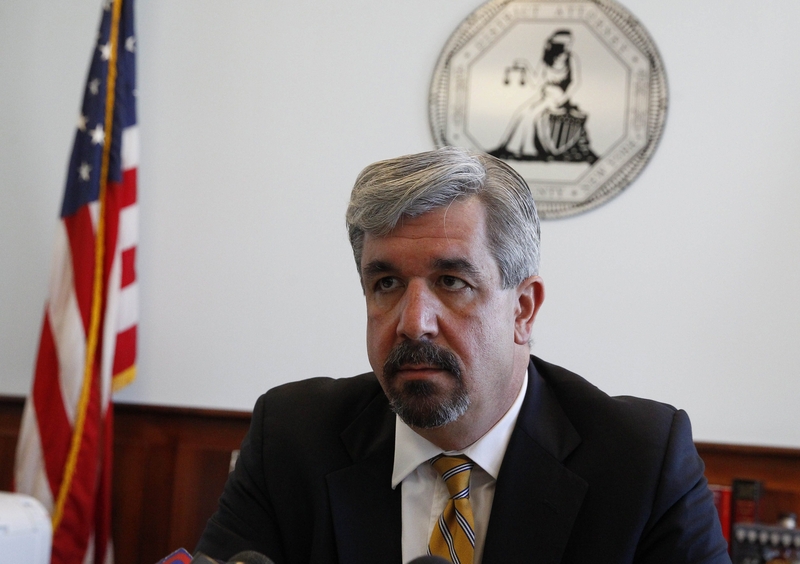 You can’t do that as a prosecutor,” Sedita said. McDonald acknowledged that shekknows Markel and his family through mutual acquaintances. “Charles has been somebody that I know – not only through the Town Board,” she said. She was unhappy with how Markel was treated. “I just thought it was very harsh,” McDonald said. In writing the letter, McDonald said, she didn’t identify herself as a town prosecutor or an attorney. “I wrote it as a voter and a citizen of the Town of Cheektowaga,” she said. Appointed by the Town Board in 2007, McDonald said she no longer can perform her job without the designation from the District Attorney’s Office. She has been working primarily with Town Justice Paul S. Piotrowski. “It’s only a matter of time until the town lets me go,” McDonald said. The Town Board did not take any action regarding McDonald during a work session Tuesday evening. Supervisor Mary F. Holtz said a letter of resignation is anticipated, but it hasn’t been submitted. “She can’t do her job anymore,” Holtz said, referring to the revocation of McDonald’ s authority. City and town attorneys routinely appear in municipal courts on behalf of the district attorney, handling lower-level offenses – mostly vehicle and traffic offenses. After a municipal government names someone to become a prosecutor, the district attorney must give approval before the appointee gains prosecutorial authority. The designation is renewed annually. Revocation of McDonald’s authority was communicated by Sedita to McDonald’s boss, Cheektowaga Town Attorney Kevin G. Schenk. It happened Monday, McDonald said, when she was busy in Town Court. Schenk told her of Sedita’s intentions to revoke her prosecutorial authority. “I thought it would have been a nice gesture for him to call me and talk to me. I’m sorry that it disturbed him so greatly,” McDonald said. The last time Sedita took that action was in January 2013, when he revoked the authority of Norman A. LeBlanc Jr., who had been serving as a prosecutor in Lackawanna City Court. LeBlanc was found guilty of professional misconduct in 1998 by the Appellate Division of State Supreme Court. He admitted giving a fictitious court order to two clients and improperly altering a date on a notarized summons with signatures from the clients. He did not face a criminal charge but was suspended from practicing law for six months. His license was reinstated, and LeBlanc was considered a lawyer in good standing when Lackawanna’s mayor appointed him an associate judge in March 2013. Before LeBlanc, Sedita only twice before had prevented a town or city attorney from handling cases for his office in local courts. It the previous cases, Sedita said, he did so because the two held full-time jobs as public defenders – not because of any ethical concerns.